Use the form below to inquire about Luxury Boutique Villas at Kaimara . Use the form below to reserve for Luxury Boutique Villas at Kaimara . The villas have 20-foot high ceilings, glass walls, antique furniture and are equipped with a fireplace. 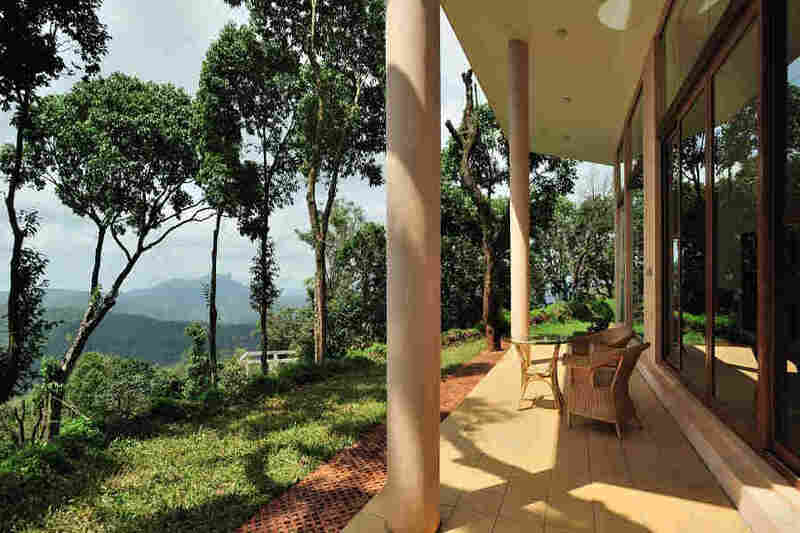 Experience bliss in the lush valleys of the Western Ghats at the Luxury Boutique Villas at Kaimara. Chikmagalur, popularly known as the Coffee District of Karnataka, is a green haven tucked away in the lap of nature. It is blessed with nature’s bounty in the form of lush rainforests and rich flora and fauna. No wonder why it is one of the most popular getaways in Southern India, favored by families, honeymooners, and backpackers alike. Due to its favorable climate and charming vistas, the region is an ideal summer retreat for those who want to take a break from crowded cities. 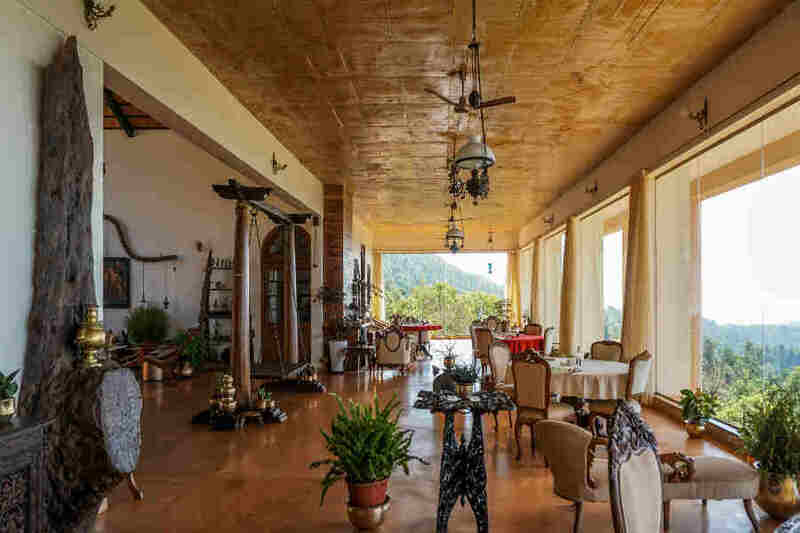 Its scenic location on the foothills of the Western Ghats, with mountains all around, only adds to its ever-increasing popularity. 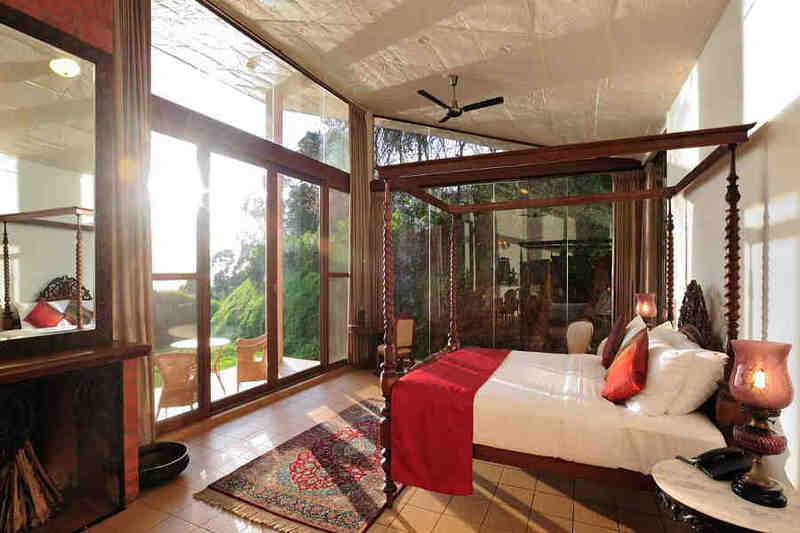 A splendid getaway like this can only be complete with a splendid accommodation facility. 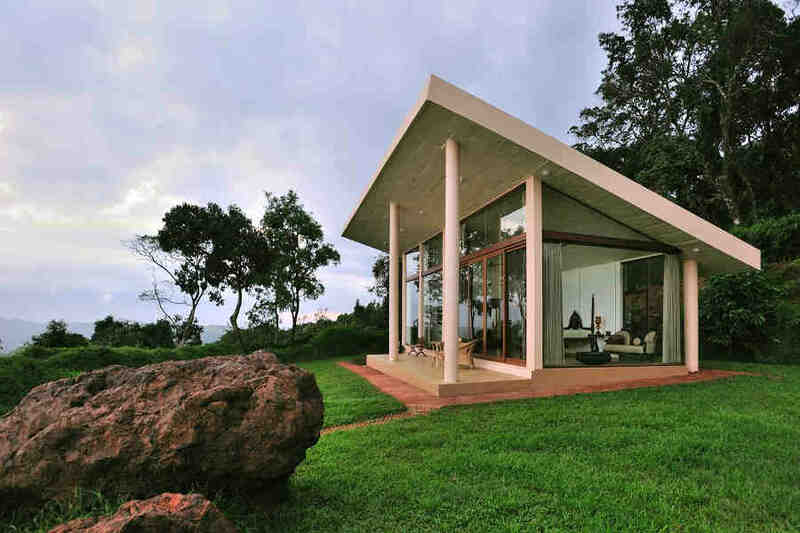 The Luxury Boutique Villas at Kaimara are an epitome of everything Chikmagalur has to offer a passionate traveler. 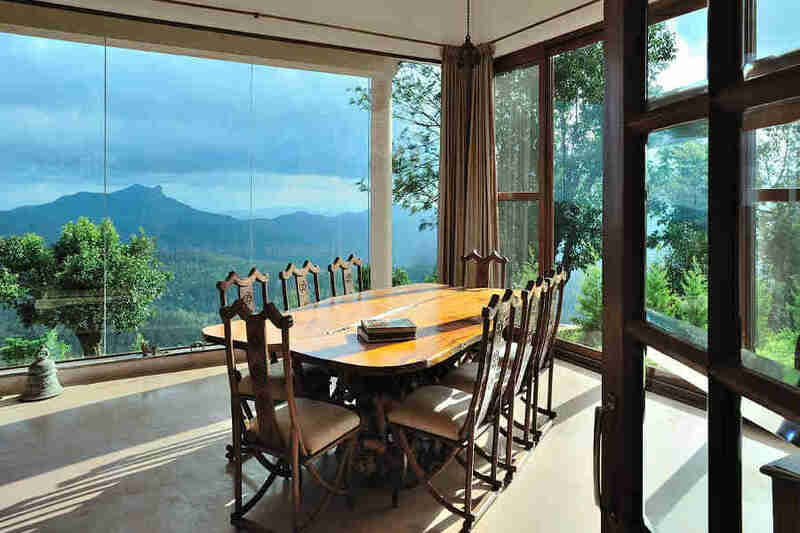 The verdant mountains of the Western Ghats provide the perfect backdrop for the Luxury Boutique Villas at Kaimara. The property promises pure indulgence in terms of the stay, the dining, and your overall experience during your holiday here. The unique glass construction of the villas at this boutique property makes it a one of a kind and redefines the term “a room with a view”. The idea behind the glass walls is to make the connection between indoors and outdoors absolutely seamless. There won’t be a moment where you’re away from nature, literally! To complement the breathtaking views, the hotel offers a scrumptious dining experience. You can choose from a variety of North Indian, South Indian, Chinese, and European dishes to pamper your taste buds. You can also enjoy a private barbeque dinner in your villa compound. 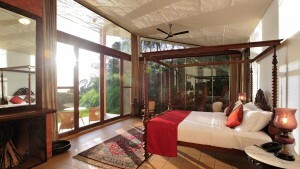 Accommodation at the Luxury Boutique Villas at Kaimara is an experience in itself. 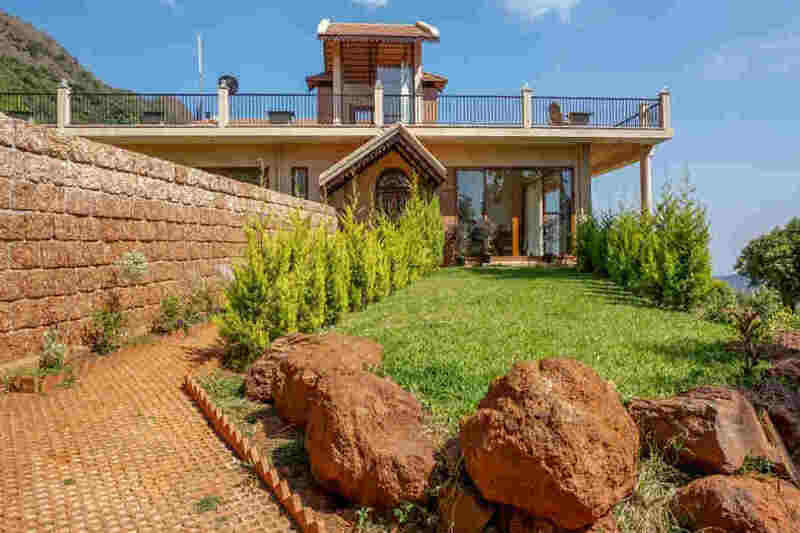 Each villa measures over a thousand square feet and is an epitome of luxury. The villas have 20-foot high ceilings and the glass walls make sure you’re always close to nature. They are tastefully furnished with antique furniture from the Jacobean and Victorian era and equipped with a fireplace. 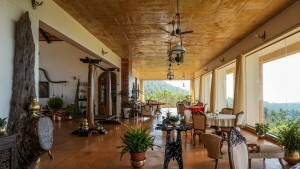 The vast private compound of each villa complements the spacious living space. Magnificent 360-degree views are an icing on the cake. Are you ready to treat yourself to a splendid experience? The nominal charge for one comfortable extra pull-out bed is Rs.2,000/- per night. The food charge for children under 12 years of age is Rs.1,500/- per child per day and 12 years of age and over is Rs.3,000/- per person per day. Advance payment required before guests check-in. There’s never a boring moment where nature’s at its best. The property offers many indoor and outdoor activities to its guests. If you love exploring places on foot, you can go for treks in and around the property or trail walks in the coffee estates. You can visit the popular ancient sites of Halebid and Belur or go to Bhadra Tiger Reserve. You can also go on a drive on the meandering roads of the Mullayanagiri Mountain to get up close with nature. If you are a golf-enthusiast, you can get the best of your holiday during your stay at the boutique hotel. 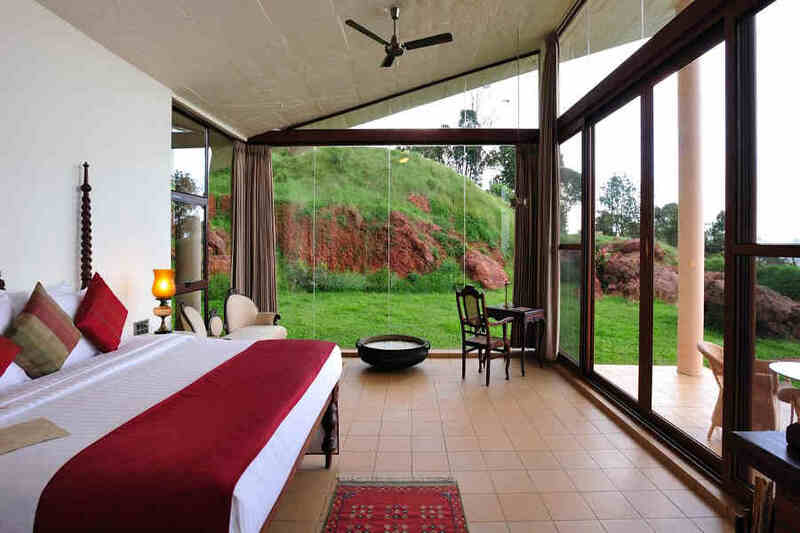 The Chikmagalur Golf Course, a magnificent 18-hole course, is located a 25-minute drive away from the hotel. 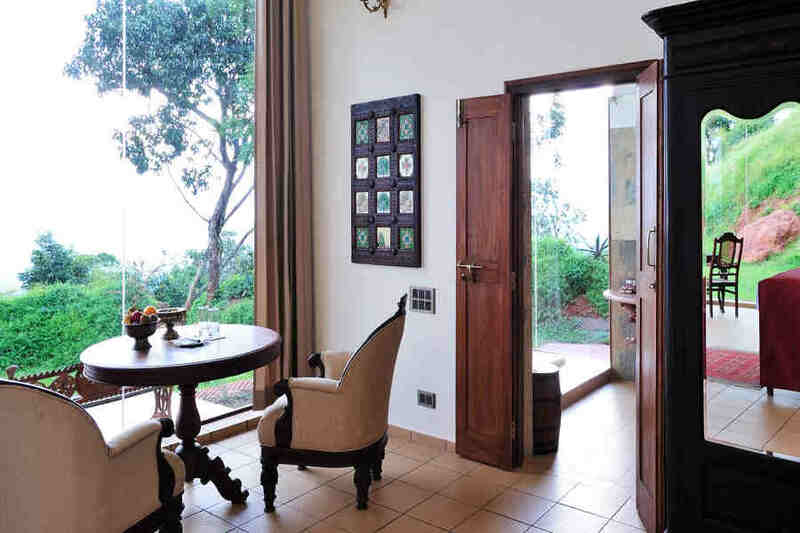 The property also has a cricket pitch where both the young and the old can indulge in a game or two. A visit to a coffee estate is a must in the to-do list of those who are interested in the nuances of growing and processing coffee. If you’d rather not venture out of the hotel, you can make the best of the many board games available at the hotel or savor the scenery from the cozy comforts of your room. At 113 km, Mangalore Airport is the closest from Chikmagalur. The international airport in Bangalore is at a distance of 274 km. Many domestic and international flights connect these airports to all major cities in India and around the world. Kadur (40 km) is the nearest railway station from Chikmagalur. Mangalore Junction and Bangalore City Junction are at a distance of 150 km, and 240 km, respectively. The nearest driving getaways from the property include Hassan (62 km), Mangalore (154 km), and Coorg (157 km), and Bangalore (244 km). These places are connected to Chikmagalur through a vast network of state and national highways.